A view north west from somewhere in the hills between Gortantaoid and Bridgend (that was the general route of our walk). Not sure which loch that is, there are several in the area. In the far distance you can make out Loch Gruinart and Ardnave with the Atlantic behind it. An impression from an Islay walking week a number of years ago, some of the walkers taking a short break on the track between Killinallan and Gortantaoid. 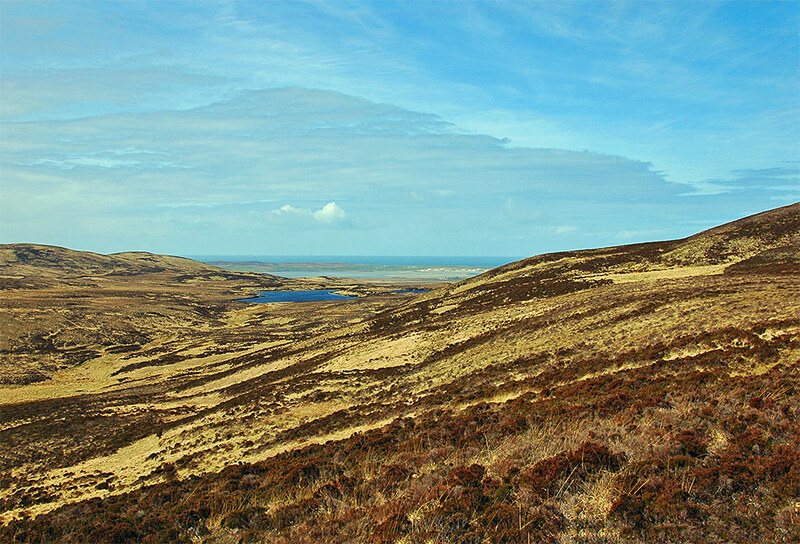 In the distance a panoramic view of the hills in the north of Islay. 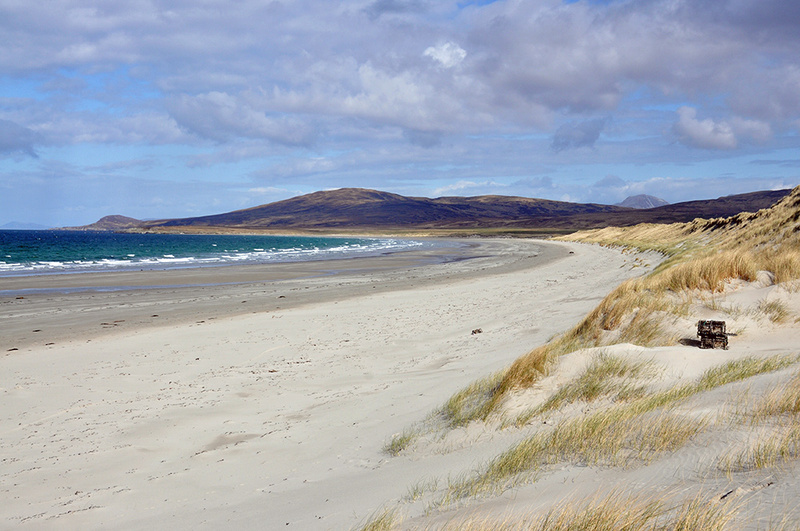 On the left, behind the walkers, are the dunes and beach at Tràigh Baile Aonghais. A view from the dunes at Traigh Baile Aonghais from near Killinallan Point, the dunes stretching out into the distance along the long beach. On the left Mala Bholsa, on the right one of the Paps of Jura can just be seen above the hills.